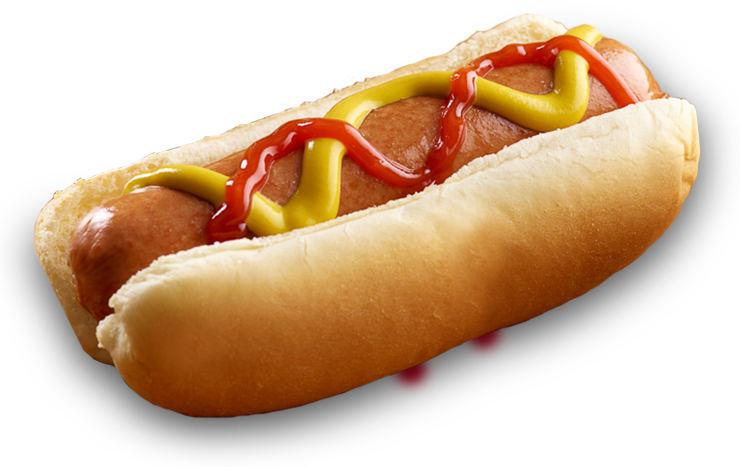 How to increase the flow of new ideas – and eat a lot of hotdogs! Innovation is critical in a knowledge economy, leading to new products, new methods and hopefully happy customers and organisational growth. According to PwC’s 2015 study on Global Innovation, U.S. companies spend $145 billion dollars on R&D each year. Yet, despite its importance, innovation is a difficult quality to cultivate both in individuals and in organizations. Here are three ideas to get you on the right track: curiosity, connection and the hot dog thing. We share a number of basic drives and attributes with our primate cousins, but only humans (as far as we are aware) have looked up at the stars, wondered what they are and tried to find out. Curiosity sets us apart from the rest of the animal kingdom and, with recent concern about robots taking our jobs, it should console us to learn that curiosity also sets us apart from computers. Computers are smart, but none can yet be said to be curious. In addition, recent research suggests that curiosity is also good for your health. People who make a lifelong habit of reading and writing a lot slowed their rate of mental decline by a third compared to those who only do an average amount. So how do we encourage curiosity in organisations? In the first place give people permission to be curious. The most important thing to do when you want more creativity is to let people know they can. You have to expect some failures and you need to embrace these, so build a culture with no fear of failure. Second, implement a formal structure that allows ‘intrapreneurship’ to take place: 3M allow employees 15% of their working week to devote to personal projects. Finally, provide incentives. Design a career path for your ‘intrapreneurs’ and show how their ideas can boost their responsibilities and rewards within the company. Future Work Skills 2020, a report compiled by the University of Phoenix Research Institute, argues that in the face of more complex, multifaceted problems ever-greater specialisation will be replaced by the need for individuals with blended skills. The ideal worker of the future will be ‘T-shaped’, with a deep understanding of one field, but able to converse in the language of a broader range of disciplines. This will require a sense of curiosity, a willingness to go on learning, and exposure to varied experiences and people. In Frugal Innovation, Navi Radjou & Jaideep Prabhu propose that organisations should make external connections to generate new ideas and ways of doing things. In the first place they should engage more with their customers to identify innovative opportunities and encourage co-creation in the design, building and sale of products. They should also make innovative friends, an eclectic group of partners to challenge senior management thinking and encourage a continuous process of unlearning and relearning. Internally, organisations could ask employees for their ideas and encourage them to contribute to the innovation dialogue with customers. A key activity will be to assemble a diverse workforce. Plenty of research shows that diverse teams devise the most innovative ideas. But above all, they must keep boundaries flexible and fluid, people need to be mixed together: rotate staff, create places and programmes where people from different teams collide and collude, use collaborative pay and incentives, and ensure that information flows and is interpreted correctly. This can be helped by those ‘T’ shaped workers, who are able to move between functions and explain what is happening in different departments. Finally, the hotdogs. Every 4th of July 40,000 people go to Coney Island in the United States, and more than 1m tune in on ESPN, the sports cable channel, to watch men and women defy human digestive limits in a hot dog eating competition. Prior to 2001 the record was 25 hot dogs and buns in 10 minutes, but in that year Takeru Kobayashi, a young man from Japan, smashed the record consuming a staggering 53 dogs and buns. Mr Kobayashi’s winning insight was not to eat the hot dog and bun as you or I would, but to break the hot dogs in two and stuff them in his mouth with one hand, while his other hand dunked the bun in water to make it easier to swallow. This, coupled with shaking and gyrating, helped a 112lb man consume nearly 8lb of bread and sausage. The record, by the way, now stands at 70 dogs and buns.